Panthers new High-Low Turnstile it integrates the High-Low Rig , Offset Rig, all Bowl Adapters see downloads. Is as simple as it is robust. The electro-mechanical drive has proved itself over decades. The Classic in its basic model already has much to offer. 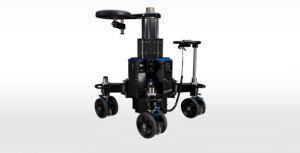 With its CPU-controlled center column and its pivoting wheel arms, it can be easily adapted to many diverse shot angles.